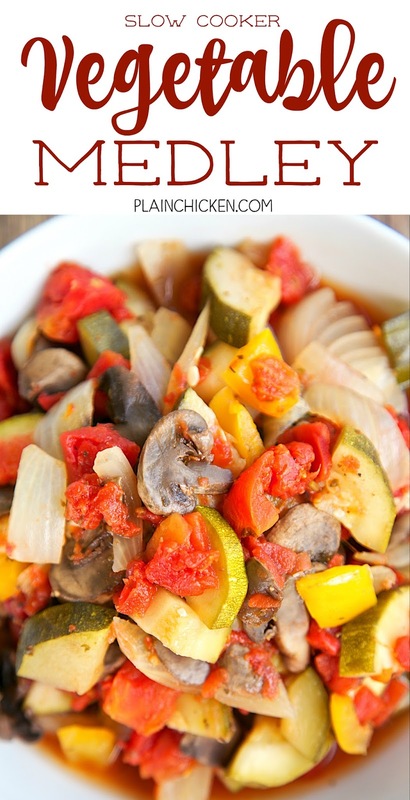 Slow Cooker Vegetable Medley - seriously delicious!! 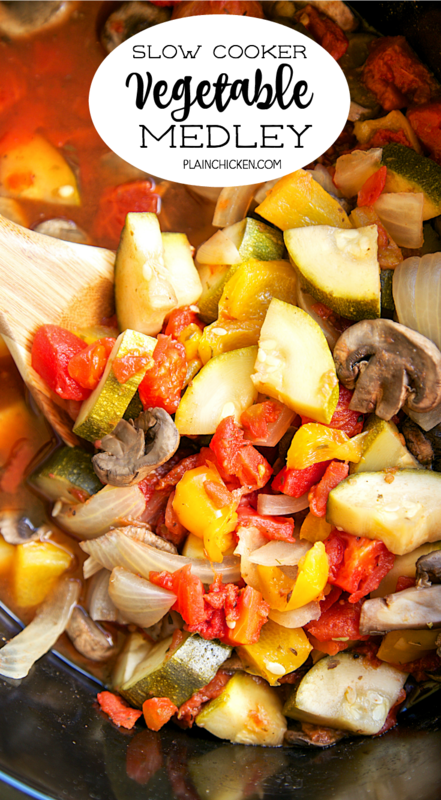 Onion, bell pepper, zucchini, tomatoes, mushrooms, garlic, oregano and pepper. Slow cook all day. 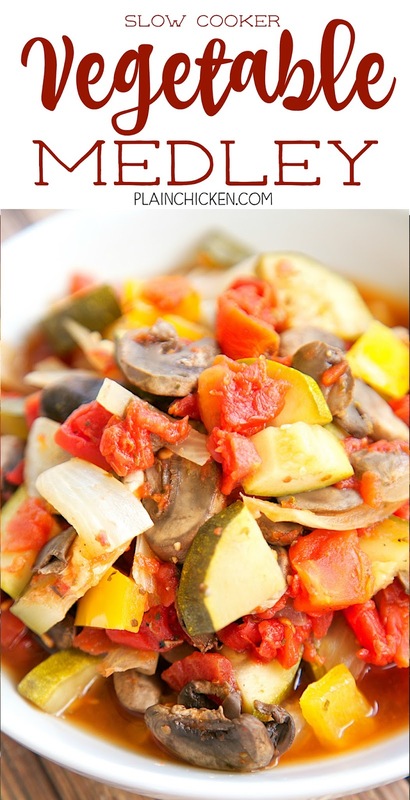 Great as a side dish or over pasta! 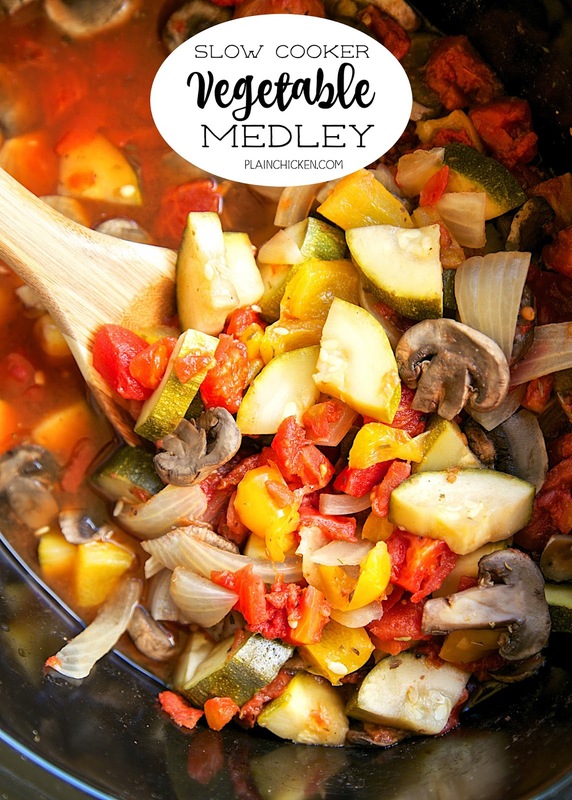 This Slow Cooker Vegetable Medley is ridiculously good. The best part is they cook all day in the slow cooker. There is really no work on your part. 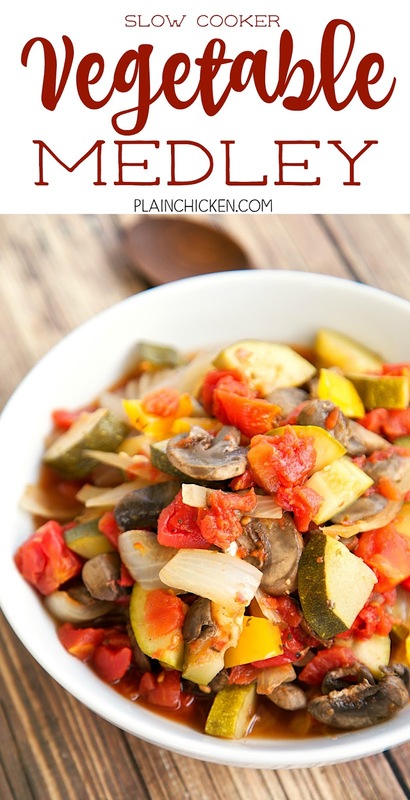 Just slice the veggies and throw in the slow cooker with a little bit of seasoning and let the slow cooker do the work! 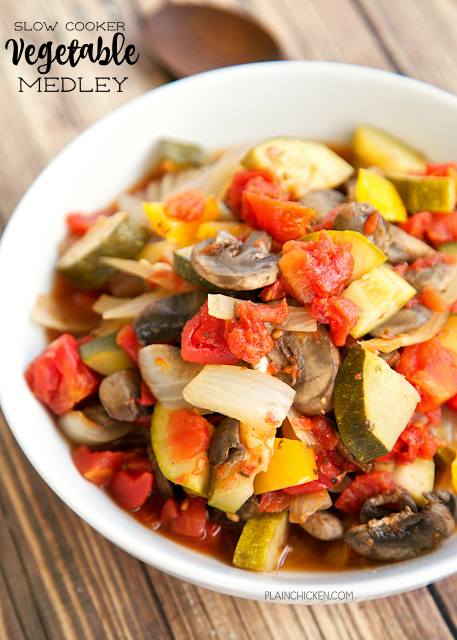 These veggies are great as a side dish or served over pasta. 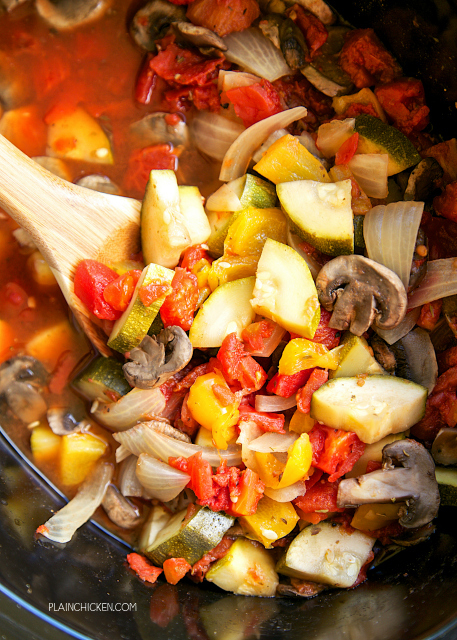 The veggies cook down and make a crazy good broth. It was incredible served over pasta! Throw some grilled chicken or steak on top of the veggies and pasta - amazing! 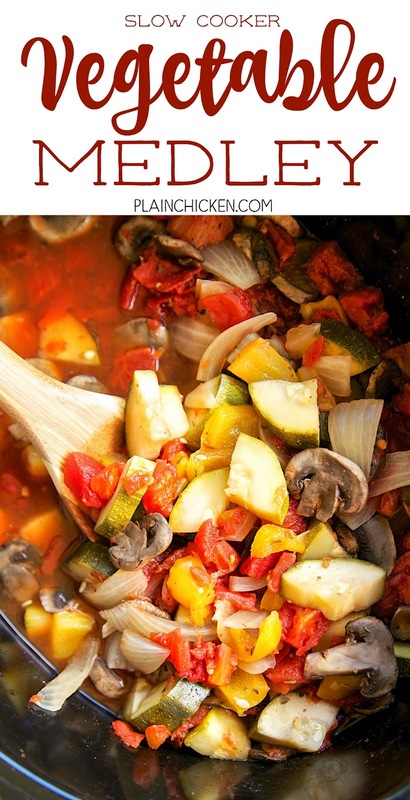 Place all ingredients in slow cooker. Cover and cook on LOW for 6 to 8 hours, until vegetables are soft. I love this mix for adding to whatever we are having for dinner! The fact that it cooks in the slow cooker is a MAJOR bonus! !